Typo-O is a word prediction, spelling and text-to-speech app for the iPhone, iPad and iPod Touch. The app costs $14.99 and requires iOS 6. Click here to view the app in the App Store. Typ-O is simple and easy to use. To get started just start typing, Typ-O then predicts the which word you are trying to type. You can touch the word to accept the predicted word or you can press on a speaker button to have the word spoken using a text-to-speech voice. The word prediction is very good and can help improve spelling. Hearing the sentence read back to you using text-to-speech can also help improve grammar. Once you have finished writing you can send your text via email or text message. Typ-O includes a number of customizable setting to help improve word prediction accuracy. One negative of the app is that it uses text-to-speech voices from the internet which means if you are not connected to the internet you must use low quality text-to-speech voices. Watch the video above to see Typ-O in action. Click here to download a lite version of Typ-O to try before you buy. Click read more below to view screenshots of Typ-O. Apple's new iPhone 5 and iOS 6 are out and include many new accessibility features. One of the biggest accessibility features of iOS 6 is called Guided Access. iOS 6 is the operating system that runs on the iPhone, iPad and iPod Touch. To enable Guided Access go to Setting > General > Accessibility > Guided Access. Guided Access allows an parent or teacher to restrict access to a single app. This restricts kids from switch apps to watch videos or play games. Guided Access also allows parents and teachers to block off individual buttons within an app. For example if an app have setting a teacher could block it off so the students could not change app settings. Guided Access is great for teachers, users with autism or users with ADD. Guided Access allows teachers to administer tests on the iPad without worrying about students looking up the answers on the internet. Watch the above video to learn how to use Guided Access. Click read more below to view more videos of Guided Access. Labels: add, autism, free, guided access, how to, How to use Guided Access, ios 6, ios 6 accessibility, ipad mini, iPhone 4S, iphone 5, iPhone for ADD, video, What is Guided Access? Did you get the iPhone 5 today? Below is a list of apps to make the most out of your new iPhone 5. Read2Go is the best way to access Bookshare.org books on your iOS device.Bookshare provides free accessible eBooks for people with print disabilities. Click here to learn more about Bookshare. Once you download the app you can download over 150,000 books directly to your device. The best part of Read2Go is that students can easily read books anywhere because of the portability of iOS devices. To learn how to become a member click here. Learning Ally (formally RFB&D) provides audio books to people with print disabilities. Members must pay a yearly fee in order to download books. To learn about how to become a member of Learning Ally click here. Prizmo converts a picture of a document into text which can be read using text-to-speech. In short from document to text to speech in just seconds. Prizmo is also the fastest and most accurate optical character recognition (OCR) app I have every tested. iBooks is Apple's eReader app. It is simple to use and accessible using VoiceOver. With iBook Textbooks students and teachers can download select textbooks onto theiriPad. The list goes on, click read more below to view more great apps. iTunes U allows you to follow along with select classes from your iOS device. You can download classes from top universities and watch videos of the classes and read documents provided by the professor. Great videos that walk you through many concepts from almost all subject. This app is great for homework help and learning new concepts. To learn more about Khan Academy click here. Apple has released iOS 6 with over 200 new features as a free upgrade. iOS is the operating system that runs on the iPhone, iPad and iPod Touch. Included in the 200 features are new accessibility features. Among the new features are Guided Access, Speak Selection with highlighting and VoiceOver enhancements. To upgrade go to settings > general > software update. Watch the above video to learn how to update to iOS 6. iOS 6 is available for the iPhone 3GS, iPhone 4, iPhone 4S, iPhone 5, iPad 2, the new iPad, iPod Touch 4th generation and iPod Touch 5th generation. To learn more about the accessibility features of iOS 6 click here. To view images of iOS 6 in action click read more below. The iPad can be a great classroom tool for teachers and students alike. It can be great for showing websites, presentations and more. To share your iPad on your classroom TV or projector you may need to buy new software or cables. Read on to learn how to display you iPhone, iPad or iPod Touch on your TV or Projector. Adapters- One way to easily get your iPad screen onto the computer is to use adapters. Apple sells two adapters, one for connecting to a VGA projector and one for connecting to a HDTV. To buy the VGA adapter from Apple click here. To buy the HDMI adapter from Apple click here. Use of the adapters are as easy as plugin them in. Software- A software program for PC and Mac called Reflection allows you to display your iPad or iPhone screen on the computer. This only works with iPhone 4S and higher and iPad 2 and higher. If you have one of these devices Reflections may be your best option. Reflection is wireless and easy to use. Click here to buy Reflection for $14.99. Apple released a new version of the iPod Touch. The fifth generation device includes the same large screen as the iPhone 5. In addition to large screen the new iPod Touch has a faster A5 processor, much improved 5 mega-pixel camera, iOS 6, Siri and Loop. Read on to learn what these features mean for people with special needs. Camera- The new improved camera is good enough to use optical character recognition (OCR) apps. OCR apps allow you to take a picture of text and have it read back to you using text-to-speech. One great OCR app is Prizmo. iOS 6- iOS 6 will improve the already great accessibility features of the previous versions. The new operating system will include features such as Guided Access and Speak Selection with synchronized highlighting. To learn more about iOS 6 click here. Siri- Apple's voice activated personal assistant will make its way to the iPod Touch. Siri can answer questions, spell words, read messages, set reminders, check the weather and more. Loop- Loop is a very interesting new feature exclusive to the iPod Touch. Loop is a detachable wrist strap that hooks onto the back of the iPod Touch. Loop could be a great feature for you children and people with physical disabilities. Loop is seen in the above picture. The iPod Touch will be available in the coming weeks starting at $299. Click read more below to view more photos of the new iPod Touch. Apple announced the iPhone 5 at an event today in California. The iPhone 5 includes and bigger screen, better camera, faster processor, thinner design and more. The iPhone 5 will run on iOS 6 Apple's mobile operating system which includes accessibility features such as VoiceOver, Guided Access and Speak Selection. Click here to learn more about iOS 6. The iPhone 5 will be available for pre-order on September 14th and for sale on September 21th starting at $199. Click read more below to view more images of the iPhone 5. Today, Apple announced that iOS 6, the software that runs iPhone, iPad and iPod Touch, will be released on September 19th. The free software update will include new accessibility features such as Guided Access, Speak Selection with highlighting and improved Siri. Click here to learn more about Guided Access. iOS 6 will also include Made For iPhone Hearing Aids which allow hearing aid users to better use the iPhone. Along with accessibility improvements iOS 6 includes an updated maps app and more. Click read more below to view more images of iOS 6 from Apple. HumanWare recently released the HumanWare Communicator app for iOS devices. The app is designed to make communication between a deaf-blind person and a sighted person possible.When the conversation is started an introduction is displayed for the sighted user to read. The deaf-blind person uses a Bluetooth braille display to type a message to a sighted person, this message appears on the screen of the iPhone, iPad or iPod Touch. Then the sighted user can respond using the virtual keyboard and the message will appear on the refreshable braille display. The conversation can then go back and forth with the deaf-blind person typing on the braille display and the sighted user typing on the device's virtual keyboard. "The HumanWare Communicator application is intended to establish a text conversation, through a chat window, between a deaf-blind person and a sighted person. All interaction appears both on the deaf-blind person's refreshable Braille display, as well as visually on the screen of the iOS device." The HumanWare communicator is available in the App Store for $99.99 for devices running iOS 5.1 or higher. To view screen shots of the HumanWare Communicator app in action click read more below. If you�re rocking an old school candy bar blower you might not need to upgrade just yet: here�s our handy guide to making almost any phone into a smartphone with the web at your fingertips. First thing�s first, you need to get a better browser for your phone. That browser is the free Opera Mini, which does an impressive job of turning desktop web pages into readable, surfable pages for your dumb phone. Opera�s servers load up the web pages before sending them to you, so it�s fast and saves data on your end too. You can get it for almost every phone under the sun: just head to m.opera.com to download and install the right version for your model. Opera Mini isn�t just a web browser. You can also use it to stay on top of all the latest posts from your favourite blogs. Just add the feeds you want in the RSS section of the app (Look for the little orange box with white lines through it). Facebook has an app not just for every smartphone, but for every phone. Literally. Called Facebook for Every Phone, it�s a free download for even the most bare bones handsets that lets you see other�s updates and pics, post your own and keep in touch. The team that makes the app used to make a great social networking app for all phones that included Twitter too, called Snaptu � before they were acquired by Facebook. If you can find it still, it�s the best way for Twitter addicts to get their fix on the go. Otherwise, m.twitter.com is your best bet. They may have rubbish battery life, but smartphones have a real advantage over Regular Joe phones when it comes to notifications � that little ping you can set up whenever something happens in your favourite app. Luckily, there�s a workaround for some of your favourite social networks: you can set up SMS alerts instead. You can register for Facebook alerts in the Mobile section of your account settings � the same goes for Twitter. Now you�ll always now when someone�s @mentioned you, even if you�re on the bus. Think chat apps like Google Talk and Windows Live are just for smartphones and PCs? guess again. If you�re using an old school Nokia, first check to see if it�s got any chat apps built in: many do. The popular WhatsApp service also supports some Nokia S40 devices so head over to whatsapp.com to see if yours is supported. If not, no worries: just download the IM+ Java app for instant messaging across several popular services including AOL Instant Messenger and Windows Live. There�s also a Facebook Chat Java app that runs on almost every phone too. Smartphones are renowned for their gaming back catalogues, but there�s lots of fun to be had with games on any mobile. Even the most basic Nokia phones have access to the Nokia Store so have a cruise of that for some top titles (Some even run Angry Birds � no, really), or otherwise head over to m.getjar.com for all the games your phone can handle. Our pick? The full, original Final Fantasy RPG. That�s hours and hours lost right there. Your phone�s an A-Z of the entire world: you just didn�t know it. New basic Nokia S40 phones have access to Nokia Maps and even directions while they walk, while for everyone else, there�s Google Maps for Mobile, a Java app designed to run on any old phone. You can�t see your exact location, but it can still help you get around wherever you need to go with handy address look up. Apple announced today that it will be holding a special event on September 12. 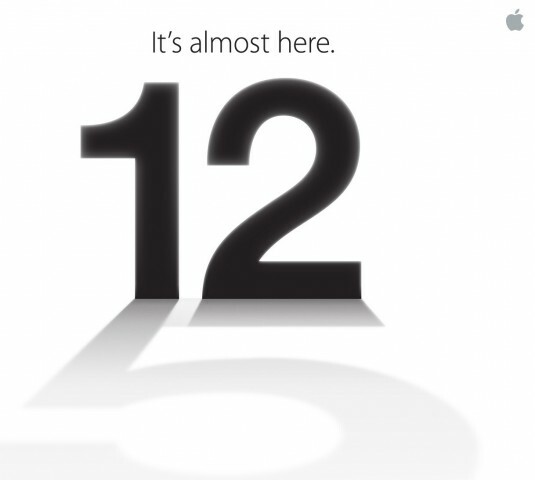 Apple is rumored to announce a new iPhone, iOS 6 release data and possibly more. iOS 6 will include many accessibility enhancements including Guided Access. The new iPhone may include a better camera, faster processor and larger screen. Come back on September 12 to hear all the new from Apple and how it effects the world of assistive technology. IBM's supper computer Watson who beat human competitors at Jeopardy! may answer your voice questions in a few years. IBM sees Watson powering a smartphone app that would act like a supper smart Siri. The app would answer your complex spoken questions in seconds. Not only would Watson be able to pull up facts quickly but it would be able to offer data driven advice for complex problems. The prospect of a Watson app is very existing but is still many years off. A Watson app would be like having a voice activated supper computer in your pocket. Watch the above video to see Watson playing Jeopardy! Unfortunately, the technology for such a large scale role out of this system is years away but it is still fun to know whats coming.